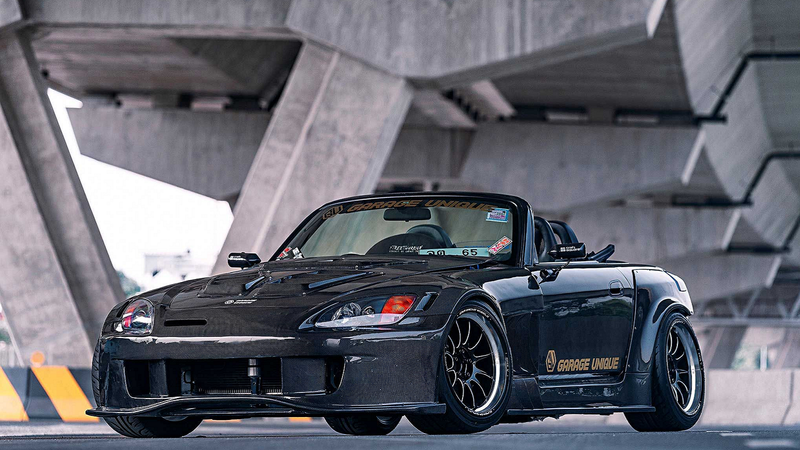 This AP1 S2000 proves that there are still new things to be done with Honda's famous roadster. Without question, the S2000 remains one of the world's most popular models today, years after production of Honda's masterful roadster ended. And yet, even though it seems like people have done everything you can do with this platform, we're still seeing some pretty unique builds popping up. 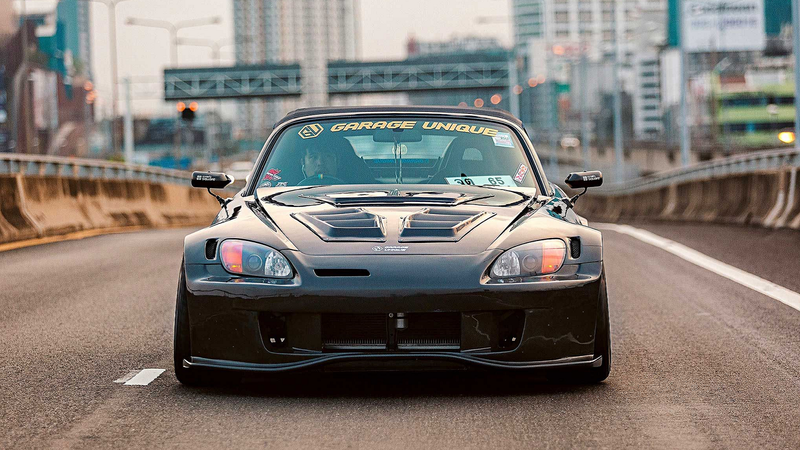 And without question, this gem recently profiled by Super Street is unique in more than one way. 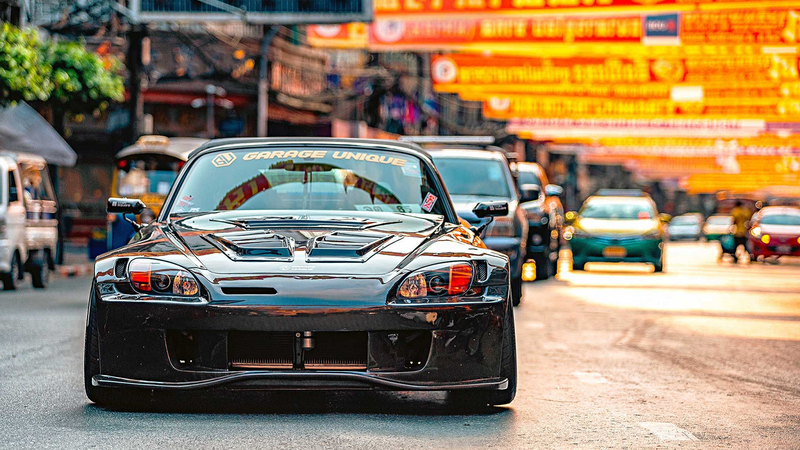 Supakorn Wongklahan, owner of Thailand's Garage Unique and this particular AP1, certainly doesn't lack for experience with every Honda worth modding. 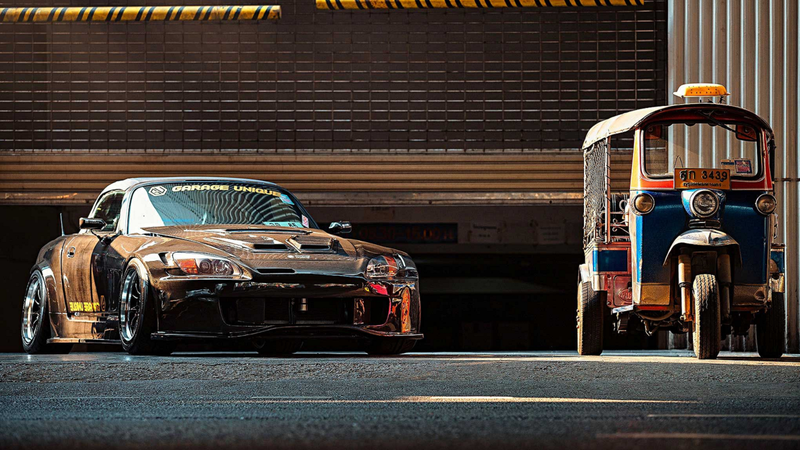 So taking his own S2000 to the next level was almost a foregone conclusion. 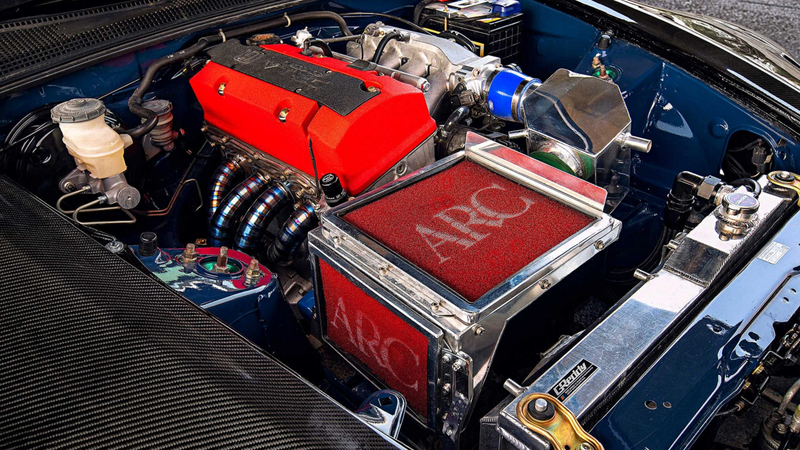 >>Join the conversation about Garage Unique's AP1 right here in S2Ki.com. After doing extensive research, Wongklahan quickly decided that to truly stand out, he needed to do something few have done. And in this case, that meant constructing his own widebody kit from scratch. Beyond looks, the master builder also wanted to ensure his ride could keep up with the best of them. So he treated his F20C to a host of goodies including Wiseco pistons, BC connecting rods and cams, a 70mm throttle body, and a custom titanium header. The design of this S2000's exterior bits isn't purely focused on aesthetics, either. The front bumper, for example, was designed to feed cool air into the intake and also remove hot air collected under the hood. Both the hood and the front fenders feature a host of vents that serve essentially the same purpose. But those wide fenders also make room for some serious rolling stock - square 18x10.5 Gaia MMXV wheels wrapped in 265/35 tires. All of this is accomplished with some seriously beautiful, meticulously crafted bodywork. 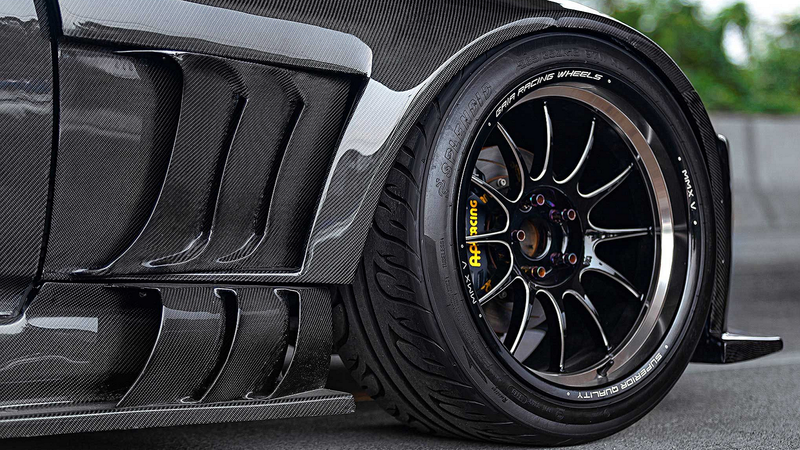 Much of which is fashioned from carbon fiber, including the deck lid and doors. The interior of this S2000 is equally beautiful, if not equally complex. A restitched Porsche carbon Kevlar seat provides a place to control things, with a GReddy steering wheel and Mugen shift knob providing the input/output. Despite all of the effort invested in appearances, don't think this S2000 is purely a show vehicle. In fact, it wears several battle scars after extensive driving all over Thailand - from the city streets to the local tracks. The goal of this build, after all, was to create a killer ride that could also withstand some real-world abuse. 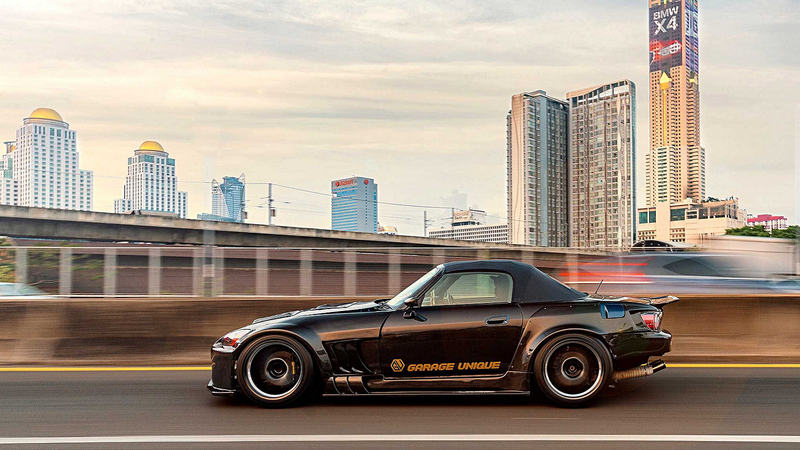 And in the end, it also became one of the most unique S2000s you'll ever see.